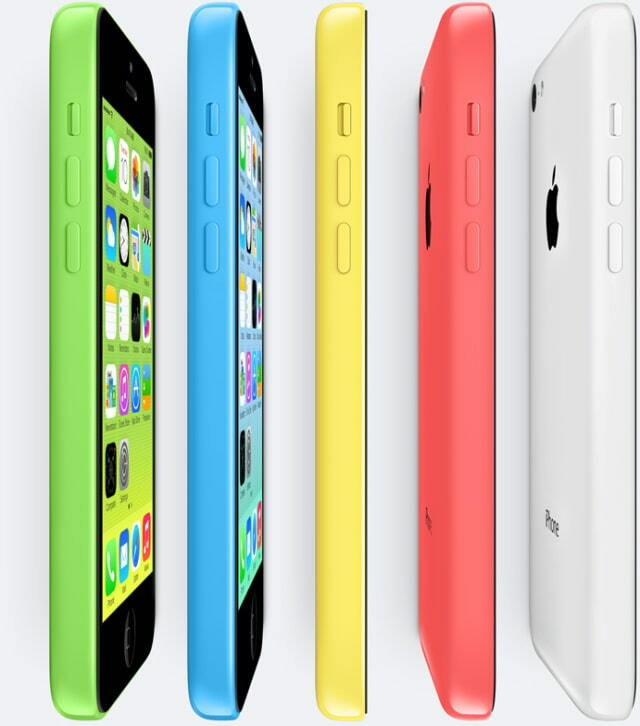 iPhone 5c is built on a foundation of features people know and love like the beautiful 4-inch Retina® display, blazing fast performance of the A6 chip, and the 8 megapixel iSight® camera—all while delivering great battery life. iPhone 5c comes with more LTE bands than any other smartphone in the world, a new FaceTime® HD camera, and iOS 7, the most significant iOS update since the original iPhone. iPhone 5c comes with iOS 7, the most significant iOS update since the original iPhone, featuring a stunning new user interface, completely redesigned with an elegant color palette, distinct, functional layers and subtle motion that make it feel more alive. iOS 7 is designed to complement the gorgeous exteriors of iPhone 5c, with matching wallpapers and translucency that carry the color through the entire experience. iOS 7 has hundreds of great new features, including Control Center, Notification Center, improved Multitasking, AirDrop®, enhanced Photos, Safari®, Siri® and introduces iTunes Radio℠, a free Internet radio service based on the music you listen to on iTunes®.